Winter is still trying to hang on here in Newfoundland, and its icy grip was felt with a little fresh snow, ice and freezing rain during the first two days of April. But signs of spring ARE starting to pop up – the first bright American Robins singing from the treetops, a handful of refreshed-looking Ring-billed Gulls joining the bedraggled few that stayed around for winter, and the arrival of Black-legged Kittiwakes all along the coast. Ouch! Cccccold feet! How did I end up here?? 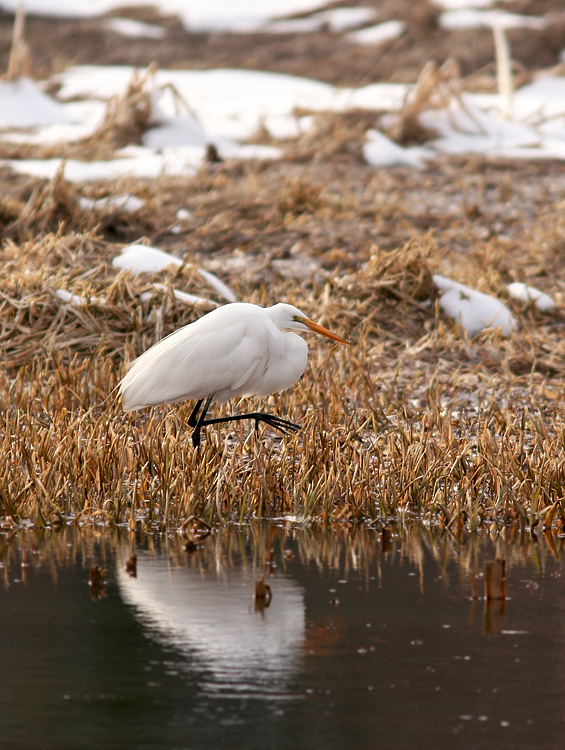 Despite the ice and snow, this fella seemed to be doing quite fine and catching plenty of small fish. 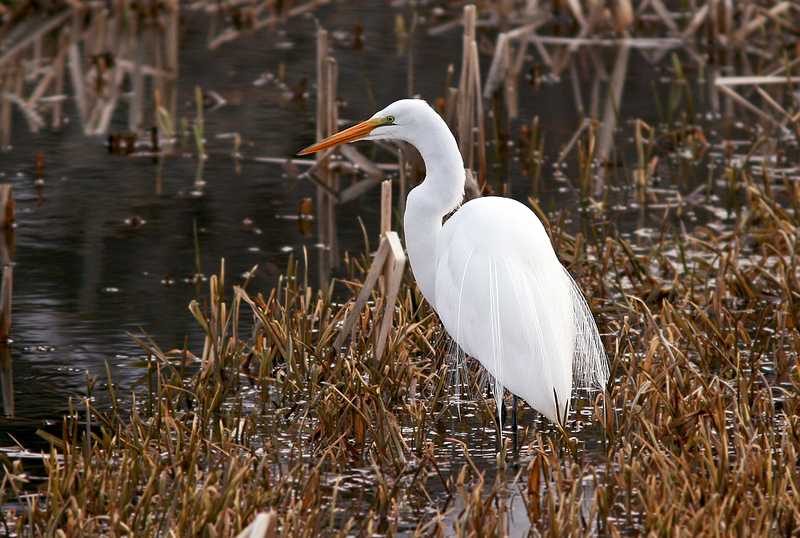 Like most egrets that arrive here in early spring, it will likely make its way back south once the winds cooperate. 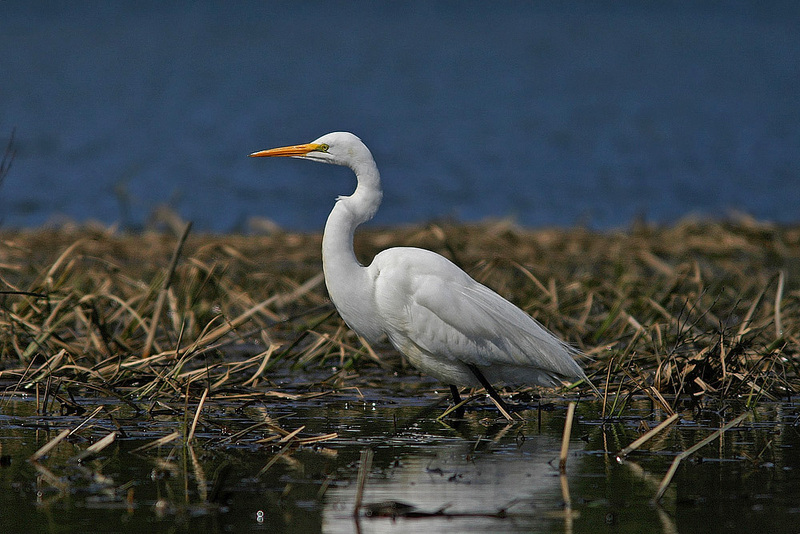 Long Pond, in the centre of St. John’s, has seen it’s share of wayward egrets. I photographed this one there in mid-April several years ago. Here are the two Wilson’s Snipe that made an appearance during my visit to Ferryland last week. A far more interesting snipe failed to show up for the party! 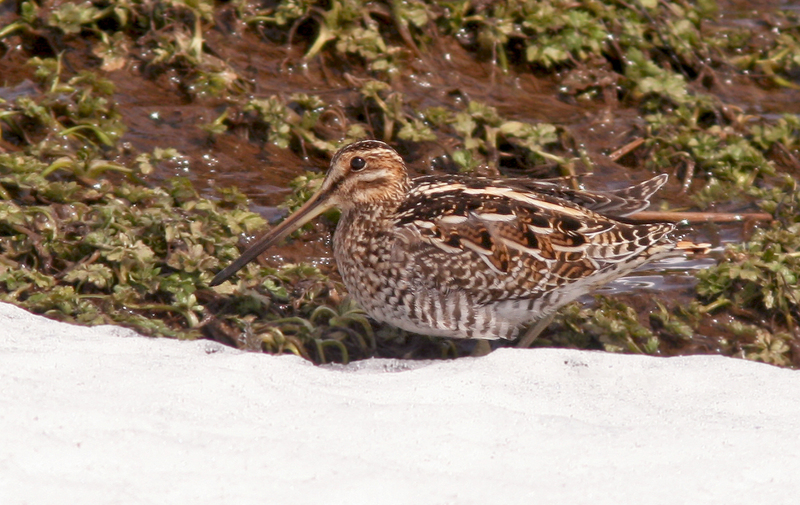 I managed to spot two more Wilson’s Snipe on the drive home – one at Tors Cove and another at Bay Bulls. Four snipe on the day, but all of them a tad disappointing! 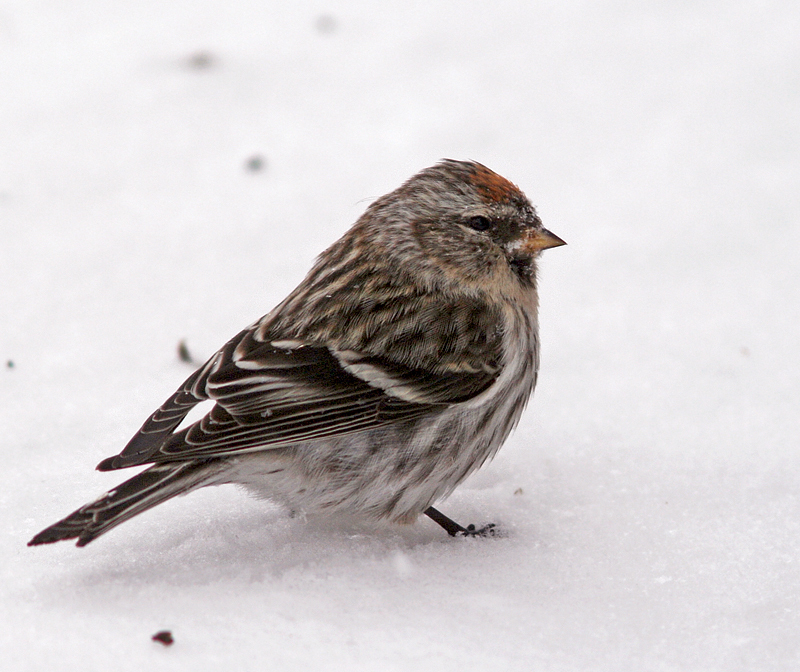 Common Redpolls have been scarce on the Avalon in recent years, so I was happy to encounter a few during a recent visit to my parents’ house in Notre Dame Bay. I almost forgot how much I like them! 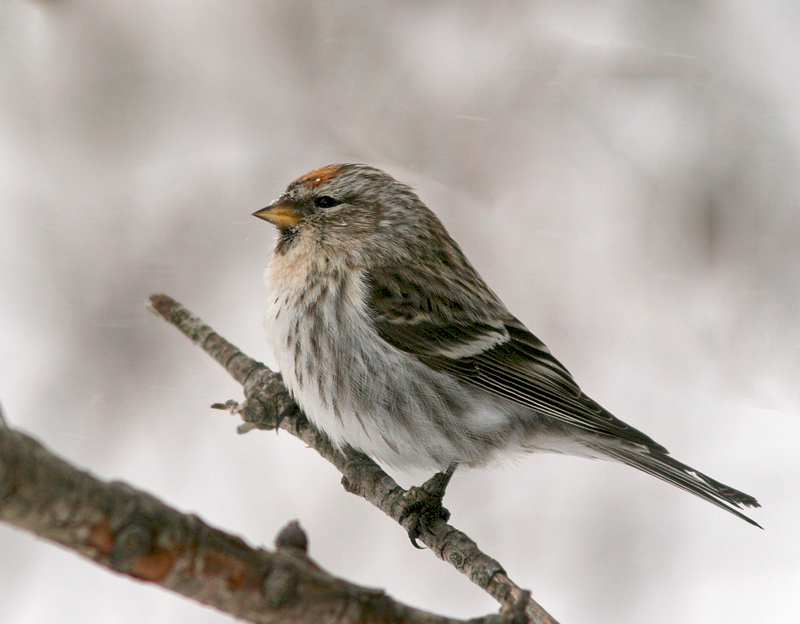 These photos were taken during a lull in a mid-March snowstorm … weather that suits these birds, but not photography. This entry was posted in Photography, Weather and tagged birds, Common Redpoll, Great Egret, Newfoundland, Photography, rare bird, Snipe, St. John's. Bookmark the permalink.